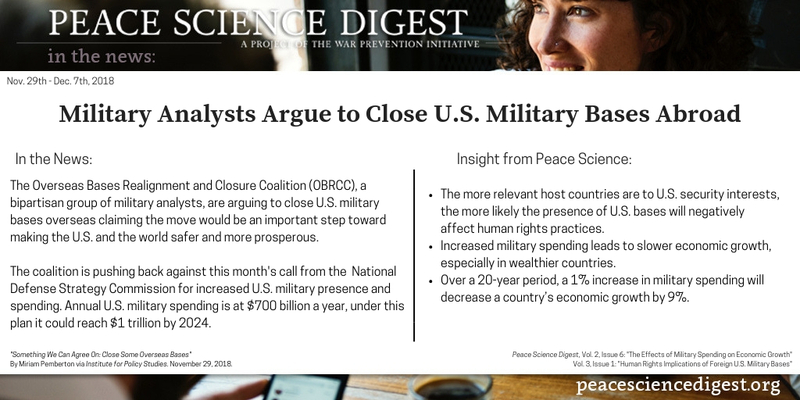 “Something We Can Agree On: Close Some Overseas Bases” By Miriam Pemberton via Institute for Policy Studies. November 29, 2018. Previous article "The US Elected a Record Number of Women: Now they May Face Violence"